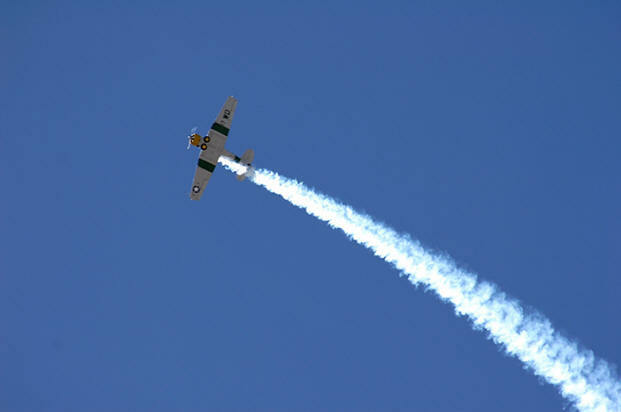 John Collver - AT-6 "Wardog"
John offers spectators a thrilling aerobatic demo of nonstop action. 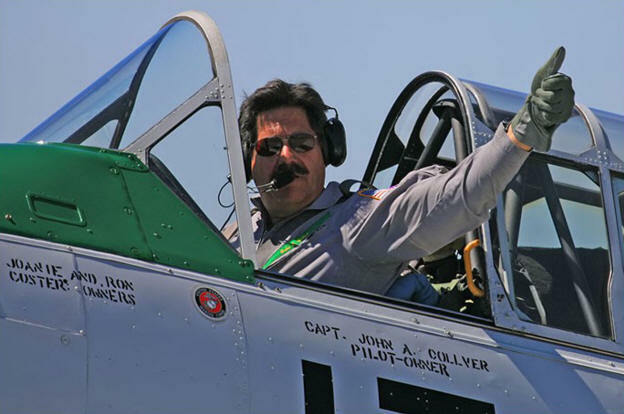 Collver's aviation career has spanned nearly four decades; he's accumulated more than 13,000 hours in more than 50 types of aircraft, including the Goodyear Blimp and TV's "Airwolf" helicopter. 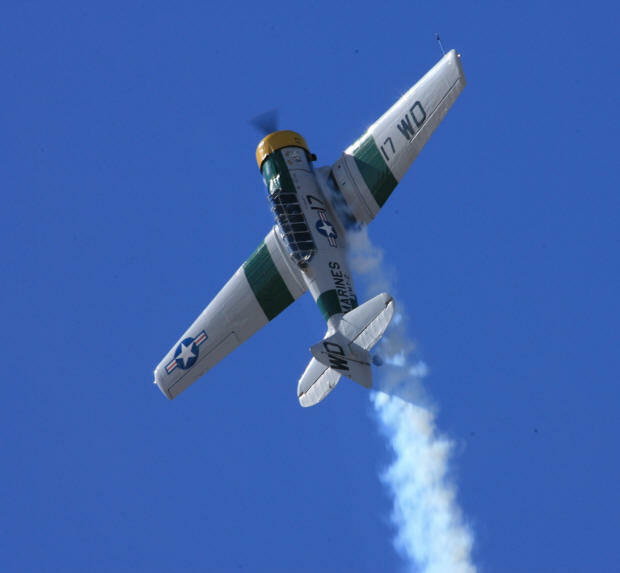 John has participated in more than 1,000 air shows.